Sam graduated from Dickinson College in 2018 with a major in English and a double-minor in Creative Writing and Philosophy. Sam played on Dickinson’s varsity squash team for all four years, including their first year as a varsity program. 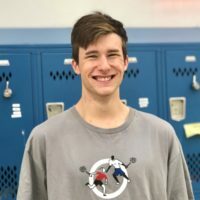 He joined StreetSquash in 2018 to help spread his passion for self-improvement through squash and the critical thinking it requires.